Are you influenced by the Moon? You can create one. It is Free. Fine jeweler, George Petrohelos creates the sites collection of fine jewelry & amulets. His uniquely impressive fine jewelry creations and designs from several years back to present is unsurpassed. George is widely respected in his field of expertise. Currently located in offices in central Chicago's diamond district in the 5 S. Wabash bldg. He continues his very impressive craft of fine jewelry design. George studied diamonds and precious stones at the Gemological Institute of Ameria (GIA) of Chicago. George Petrohelos was born in Athens, Greece and moved to Chicago in 1967 where he has been in the jewelry business from over 30 years. 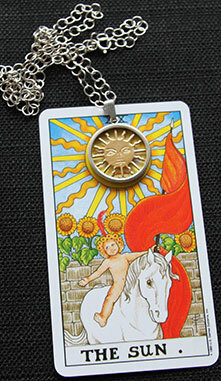 on few of our amazing Tarot and Astrology themed Jewelry. The beautiful ones hurt you every time. And, because they think their beauty makes them better. immoral and use their outward appearance to put down others. out from the average or even contest them? for the one left behind. that their beauty makes them better. for they are cold, cold people. not baby scratches or anything like that. laughing maliciously when doing it. always wanting compliments and always going out every night. finally, is our payback time. resilient, demanding, without a care. It encompasses every soul to see. present, now and here to be. To a future unknown, possibly frail? Stories forward an ear to lend. Leaving me with tears and frown! Some distance determined with space. delving deep within each soul. Mankind, diverse as celestial poles! Surely, as waters ebb shoreward. utilizing it becomes each man's task! In shrouds of glory, may we bask. Decided, decoded, yet undetermined, for each faithful suitor! This Tarot Card represents a beautiful secure woman who you feel comfortable to be with she may be your smart lover or a married good nature woman with kids in your life. This fair woman is usually a Leo sign in the horoscope. She seems very nice but she may have a shallow, one-dimensional personality and in times, can be a whiner and someone who worries too much. 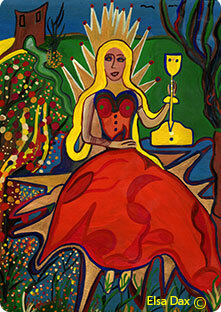 The Queen of Cups can work as a teacher, lawyer, doctor, flight attendant, journalist, day care employee or a care giver. Also get in sync with your partners in your business before loosing your investments. Get an advise from a lawyer and never lend money without legal papers. Money: Don't over spend some one will ask you for a gift, try to avoid purchasing it for her, she is using you. Future:Stay put till all other cards shows you the green light. Reverse Card in the reading: It represents a immature lady who acts first and does not think of what will be the consequences. This card can also indicate that this woman may be of a psychic nature which can be dangerous to you. with the starry dome above. even though he/she is young he/she is very intelligent and smart. as I’m sitting by the Starbucks window trying to write. Both the night and the soul whisper to me. and these are my real feelings. “GO OUT NOW! I AM TELLING YOU, YOU FOOL! One day you will want to go out dancing and your legs won’t let you. One day you will want to look beautiful but your looks will have decayed. One day you will want to drink but your body won’t allow it. as the darkness has now turned into blacknes. and then I come back drunk at dawn. for a hedonist like me it’s a pretty big deal. Poerty copyright© for CardFortune.com - Tommy Philo. of my desired sweetly kiss? as I freeze and can’t refrain? in accordance that you attract? cause without it I am in woe. and that's so rare and cute. in a very odd degree. your love dances like Fred Astair. I wouldn't have been in a trance. The man in the cards has gained the position in his life and status. He has been established and secured from life’s disturbances. There is a man of great intelligence and power in your life. He is a figure of authority, father, husband, employer or teacher. 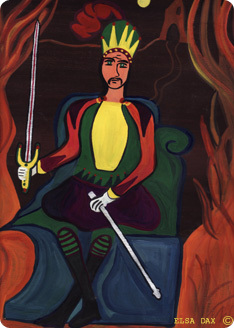 This King represents security, protection, and foundation. the outcome will work reciprocally. safely funded and received great results from. falling two steps behind will project you a million miles ahead. At work, make sure you follow the motions and work with the system rather against it. Perform things normally just like everybody else and don’t try to overact in any way. that the sword of Damocles is always hanging over by a thin thread. and stubbornness. There’s also an abuse of power and suffocating supremacy. a magnificent Art Deco structure built in 1912.
personal one-on-one relationships with her clients. Our expert designer (George Petrohelos), artisans, craftsmen in gold and diamond specialists will be happy to guide you in your selection. for millions of people, we’ve become a Chicago tradition. There is some sort of peculiar vigilance and spying. the Page of Swords wants something else. Be careful of hidden enemies within close proximity. no sincerity and maturity in his/her actions. to use you as an instrument to achieve his/her goals. 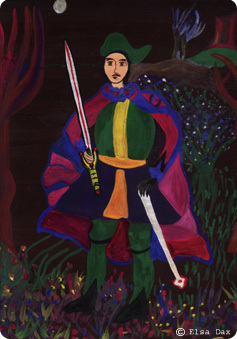 employment skills but pay heed, and use your sword to slice through the fakery. In Love someone is using you, coming up with ostensive reasons and forgery appearance. or phone messages and make sure it has all the security of a trademark business stamp to trust. can also indicate and lead into sickness and physical decline. This unpredictable behavior will lead to frustration, non-fulfillment and bafflement. than a solid, balanced scale. This in itself is a moderate picture. make better choices based upon it. This is a way to gain access into your unconscious which has stored the images of the Tarot. By understanding what these cards stand for and being able through your own insight to correlate them to what is happening currently in your life, is the key to how your specific phase should be confronted. Carl Jung also called this synchronicity; the coincidence of events that appear to be meaningful related but cannot be explained by accepted mechanism of cause and effect. 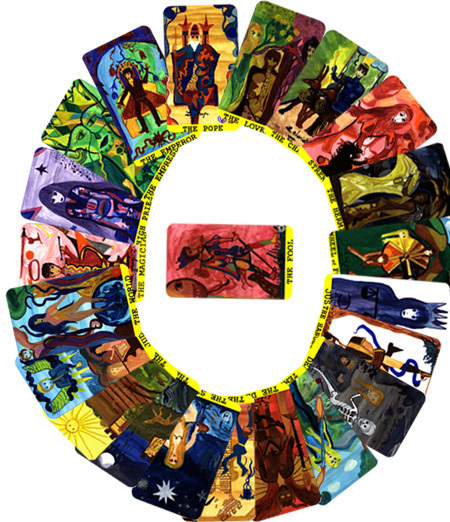 Since the cards symbolize one’s life phases and circumstances through life, it is also logical that everyone will pass through them at some point and time. The technique here is to consider all of life’s problems junctures with an approach of an instinctive perception that the card’s symbolism allow for you to interpret. There are times in life for beginnings and ends, times for departures and arrivals, times for choosing and contemplating, and if you can interpret the energies that come along with it, then you are more likely to succeed. Here a famous quote by Einstein comes into mind, “Everything is energy and that’s all there is to it. Match the frequency of the reality you want and you cannot help but get that reality. It can be no other way.” It has all to do with trying to find the most comfortable seat of existence as we are all looking for. CardFortune is here to assist you by providing the needed guidance. 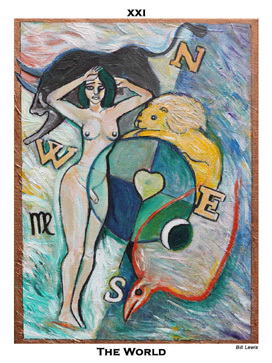 Soon we will launch the automated Tarot Readings page and our own complete "Mystic Potential Energy" Tarot Deck...by a famous French artist. having blown out the lantern light. an attitude from nay to yey. look beyond the "historic data" that is presently available. can reveal what could cross your path. from the worries inside my head. after all that suspension, would be the moment to explode! Longing for a smile, a light. The dimming light takes elusive flight! A bubble of darkness engulfs a soul. Rolling, spinning out of control! looking, searching will never cease. now or never ever bright. grabs you with a forever hold! what has this soul to gain. could it be something to forever treasure? release one from a life of woe. save, save from the "deepest and darkest hole". pull this soul from this dark, distant land! no it doesn't have to be this way! Could the card of life next flip? Life fleeting like a hearts blip. "Chariot Card" give this soul some space. to what, will, this searching soul's destiny will be! Will the cards answer this question? For some yes, for others,an eternal search. 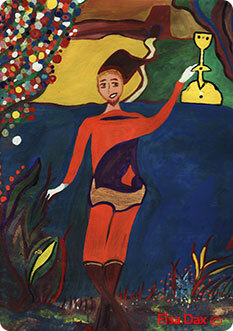 The Fool’s journey represents everyone’s journey in life. of his journey starting fresh and inexperienced. the gathering experiences ahead of him. And so, he begins his journey leaping over the cliff carelessly. from where the number one comes from. The Magician is a positive encounter. The third card is the High Priestess. for us but with an over controlling eye. In the end, she is our mysterious consciousness. Card number four is the Empress. She stands for our ‘Earthly Mother’. 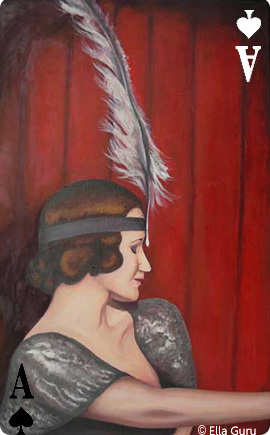 She is often interpreted as Demeter. but at the same time possession. Then, the Fool moves on to the Emperor. and he represents logic, reason, and control. for they are the challenges of everyday existence met. family for a mate of his own. and has to draw from the Strength inside of him he possesses. The Hermit is the card that follows immediately after that. and by the solitude of his soul to answer such questions. way through his Earthly or conscious journey. From now on he will continue his Night or subconscious journey. The next card number is the Hangman. The Hangman is neither good nor bad, it just means staying still. He is suspended, because his life is currently suspended and floating around. He is just deliberating when to explode, that’s all. ones to come along. One might consider Death as a cycle of events. and balance by now, and needs to understand how to use them. in us our material need for things and averts us from our goals. He blurs our vision and clouds our minds with ignorance. How can a Fool avoid such a card? With the next card; the Tower. which stand for mystical rebirth. They all give him hope, calmness and vitality. The last card, the World, is the Anima Mundi, cosmic consciousness. This represents full understanding and fulfillment. and finally along Rue Norvins. and stopped outside a bar called Bar de la lune. That’s where I saw you. and then you moved away. I left shaken and returned home. I wonder where you are. ‘tis the end, the end of the world. 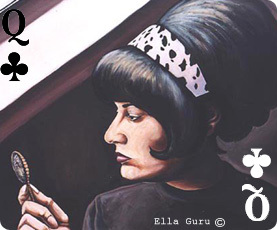 Tommy Philo writes for "The Death Card painting -Ella Guru"
Annie Zamero, Artista Eli, Elsa Dax, Philip Absolon, Charles Thomson, Terry Marks, Alexis Hunter, Lapsking Hamed Dehnavi, Andrew Galbraith, Jaroslav Valec(ka, Virginia Andow, Farsam Sangini, Bill Lewis, Paul Harvey, Chris Yates, Jane Kelly, Jacqueline Jones, and Nick Christos. outline the coastal waters, now empty. Frothy sea waters, creep onto the empty beaches. as the sun slowly sinks into the western horizon. A story that never changes. There is no " beginning" and there is no " end ". 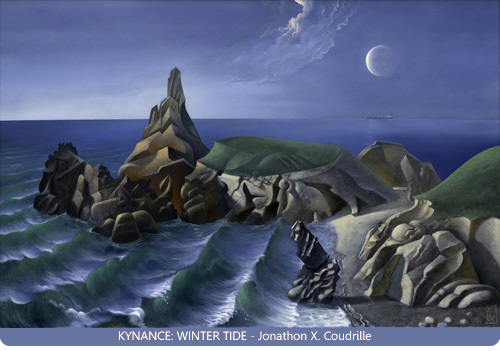 Savor these coastal images, they will survive all mankind ! Mystic Lady (Yvonne Baker), was born in a small port town, Oswego, New York on the shores of Lake Ontario at the mouth of the Oswego River. Oswego is also the home of Fort Ontario which dates back to the days of the British. After attending the State University College at Oswego, Yvonne was relocated with her family in 1978 to Chicago. Once in Chicago, she continued her writing career by studying Screenplay Writing with various classes both in Chicago and at Northwestern University. To date, she has completed many full length screenplays and one co-written with her son, along with several poems and lyrics to songs. 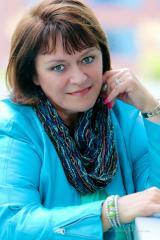 Many times Yvonne has been asked, by people to write for weddings and other special occasions. Music has been a constant source of comfort and great inspiration for Yvonne. Yvonne have played the piano, accordion and sung in choirs for many years. Thoreau are two of Yvonne's favorite poets among many. Artists see things differently than most people. A picture retained in one's memory can be a source of the next great writing or creation. 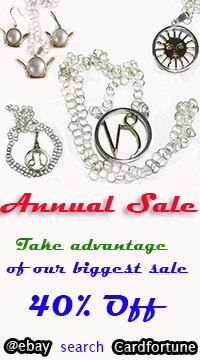 jewelry making and design classes, in Chicago area. written word will come from!" 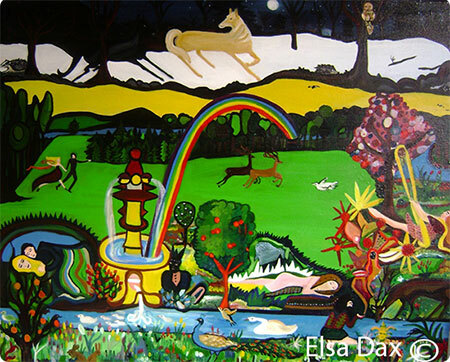 Paintings by Ella Guru, Jasmine Maddock, Peter Murphy, Markéta Urbanová, Joe Machine, Jonathon Coudrille, Odysseus Yakoumakis, Eamon Everall, Annie Zamero, Artista Eli, Elsa Dax, Philip Absolon, Charles Thomson, Terry Marks, Alexis Hunter, Lapsking Hamed Dehnavi, Andrew Galbraith, Jaroslav Valec(ka, Virginia Andow, Farsam Sangini, Bill Lewis, Paul Harvey, Chris Yates, Jane Kelly, Jacqueline Jones, and Nick Christos. 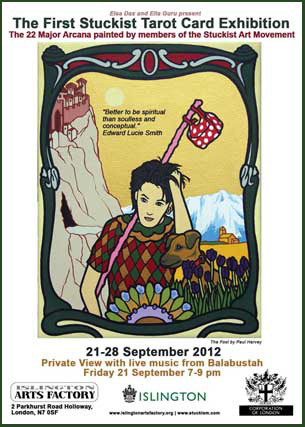 Private view with live music by Balabustah: Friday 21 September 2012, 7-9pm. Email artists: roast_cat@yahoo.co.uk for invite. 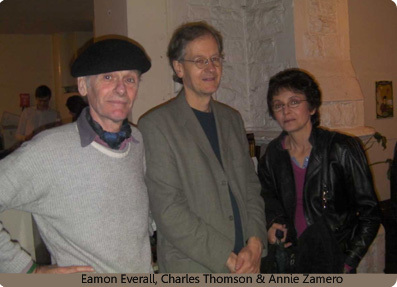 The Stuckist ideology states that a Stuckist artist’s work should be topical and personally expressive in order to separate us from traditional painters. I have used an image of the leering face of my Kosovan Builder, an ex soldier and refugee from the Balkan War, for the face of my Devil. 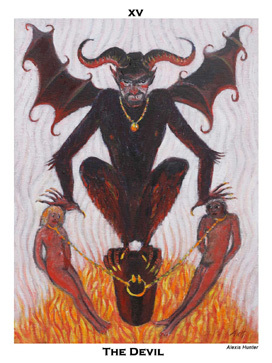 Self portraits of my husband and me are at the bottom of the picture, naked and chained by the neck to the devils’ post by golden chains, being licked by the flames of hell. This image represents the situation of ‘having the builders in’. ‘Is it worth it?’ ‘Is it for status for other people eyes or is it only to better your surroundings?’ Anxiety beleaguers us when spending on modern credit. Additionally to lose the privacy of one’s home, and to have younger fitter men in one’s personal space every day, brings up the spectre of transgressive sexuality, no matter how repressed. 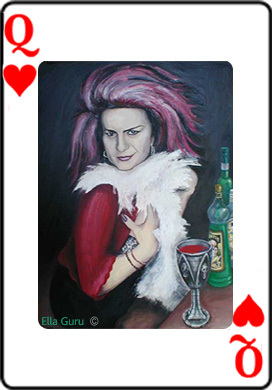 "The subject of my painting, The Empress, was the card that I wanted to paint as soon as Ella contacted me with the idea for the show. year after exhibiting two of my large heavily gilded 'Rock Icon' altarpiece style panel paintings at the very opulent Belvedere Palace in Vienna. 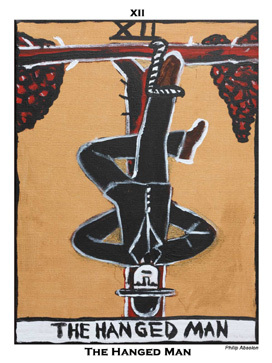 express are, the symbolism utilized in the traditional artwork for the card crosses time, cultural and theological boundries and unites them in an all encompassing visual expression of the idea of bounty. Not only material wealth but the world regenerating itself through the feminine, through fertility, through bursting harvests and flower carpeted meadows, teeming pulsating beauty, both sensual and holy. in traditional icons of Mary the Mother of God, or God Bearer. 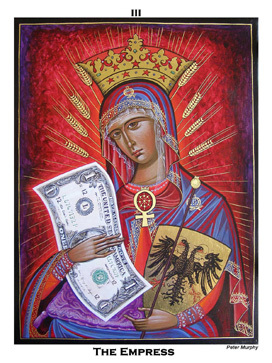 Christ Child, 'the way' enthroned in the crook of her arm, blessing the viewer.She is wearing the traditional purple and gold embroidered robes of the Empress of Byzantium. an overriding veneration of financial wealth. " "I have chosen the Chariot as much as It, has chosen me... 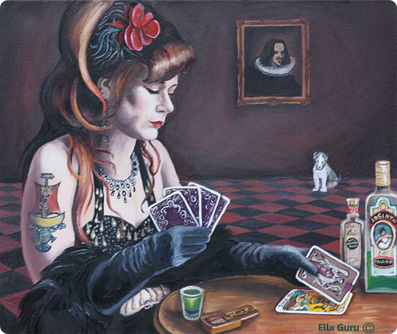 When I have been invited by Elsa at the Stuckist Tarot Exhibition, most of the cards were already chosen by others. Four were remaining and as I left one more week to pass before making up my mind finnaly to participate, two were left. The Chariot and The Tower. into which their "creator" introduces them, after having them summoned from their platonic ideal plane. It has been this thought which averted me from succumbing to the luring of the Tower's tragic grandeur and grim aesthetics. I would not risk - in the case this artistic, metaphysical intuition of mine is even remotely pragmatic - to aggravate, even with a few extra bits of what we came to call nowadays "negative energy", my nation's presently severe condition: We are, in effect, under foreign occupation - in the guise of imposed economical debts and EU / IMF "economical advisers" - and under a crude fascist quisling junta - in the guise of a puppet "parliament". I opted hence to conjure, with my painting of a definitely optimistic symbol, a definitely benign being to our aid. The Chariot is ideal for the job. It depicts a warrior driving triumphantly a chariot towed by two mythical beasts, powerful and equally unruly, so that the charioteer needs to constantly employ all his skill and might to keep them disciplined. Through this depiction the Chariot symbolizes the capacity of the human being to pursue a quest over all adversities and finally triumph, against all odds, by sheer willpower. 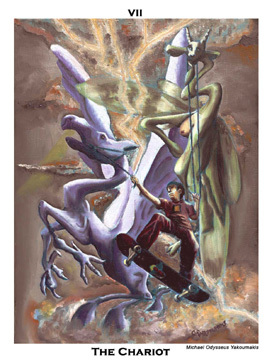 In my version of the Chariot, the Warrior is a child of about twelve (my younger son Telemachos obliged to pose) riding, in the midst of a thunderstorm, a sort of flying skate-board, towed by a hippogryph and a chimaera. I preferred the Warrior on the Chariot to be a contemporary Child on a Skateboard, in my aim to underline my opinion that against our contemporary adversities, my people need to exert the power of our faith, together with that of our will. Faith in ourselves, faith in a Universe which tends to present itself to us with the very form we attribute to It. Optimism is what we need here for the Universe to "go our way" and children are distinguished for their optimistic faith which moves mountains. In all, I tried, through this painting, to cast a spell supportive of my people - and of all peoples on the planet at that - in our struggle against Evil's contemporary incarnation, the international debt-monetary beast." and I am doing it as part of the government's work program apparently?" to the original books and manuscripts of Elíphas Lévi. and is happy to include the Obvious..."
is quite traditional in approach. For example, there is usually a dog within the design, in this case my dog Georgy. The Fool is seen as the spirit in search of experience, and represents a mystical cleverness bereft of reason. that I can relate to. This reminds me of Stuckism. The flower represents his appreciation of beauty. for the painting is her." "The card I have painted is The World. 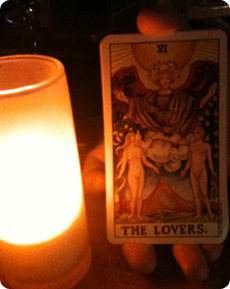 Usually on this card there is a naked woman dancing known as the Hermaphrodite. which in a sense is in keeping with the original implied symbolism. symbolism mix in the cards." Bill Lewis was one of the 13 founder members of Stuckism. USA, Nicaragua, Germany and France and on TV and radio on both sides of the Atlantic. "The figure, is based partly on a life drawing and from imagination. 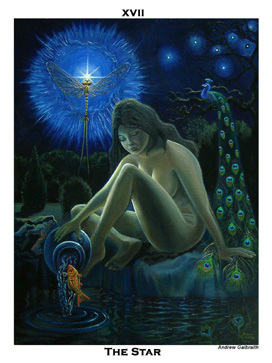 In the painting, the naked woman symbolizes nature and she is releasing a goldfish into the stream. Being unfamiliar with the Tarot, I had to research the meaning of The Star card and liked the positive interpretations I found, such as “calmness, love, trust, tranquility, peace of mind, hope, serenity, inspiration, generosity, optimism, joy, faith, regeneration, good will, harmony and renewal“. To me, the goldfish in the painting serves as a metaphor for the human soul which is being set free by nature into more natural surroundings. adults to reproduce they are short lived and are alive for just one day. This mayfly represents the mystery and uncertainty of life, renewal and hope. The mayfly is painted from life, magnified from a rare fossil mayfly preserved in a Baltic amber stone that dates back to the Eocene epoch, 40 million years ago. 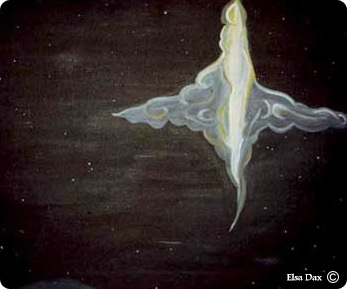 renewal connected to the eternal, suggesting endless possibilities for the future. The peacock is based on one I had seen sitting high up in the branches of an oak tree near a local farm. Peacocks grow new feathers every year. In Hinduism, Buddhism and Christianity, the peacock symbolizes various ideas within these beliefs. In Christianity for example, they are said to be a symbol for eternal life. In Greek-Roman mythology, the goddess Hera had the hundred eyes of Argus preserved forever in the tail of the peacocks. The “eyes” in the tail feathers are said to symbolize the vault of heaven and the "eyes" of the stars." 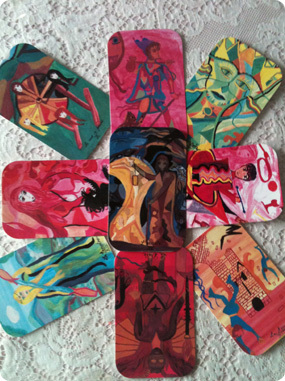 CardFortune Copyright © 2005 by CardFortune.com .